Rods, Reels, Lines, Leaders, Flies, Fly Boxes, Accessories, Hooks, Fly Tying Materials & Vices, Waders, Nets, Tackle Bags, Clothing, Sunglasses, Spinners, Lures. 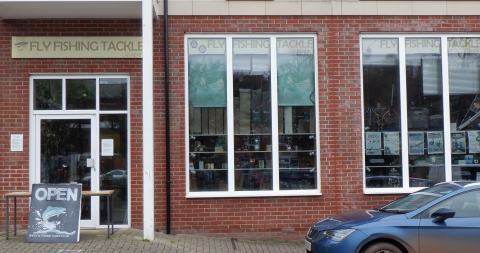 We also hold stock of sea and coarse tackle. Permits for local fisheries and fishing clubs. Whether it is to buy something, or just to browse, please look in and see us. Visit our new shop in Crediton Devon.